A rainy fall woodland scene. 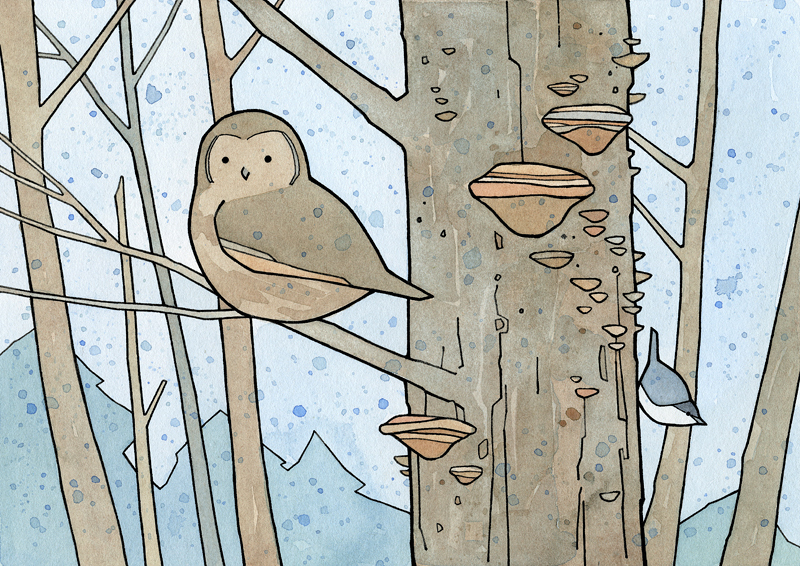 An owl and a nuthatch on a fungi covered tree. 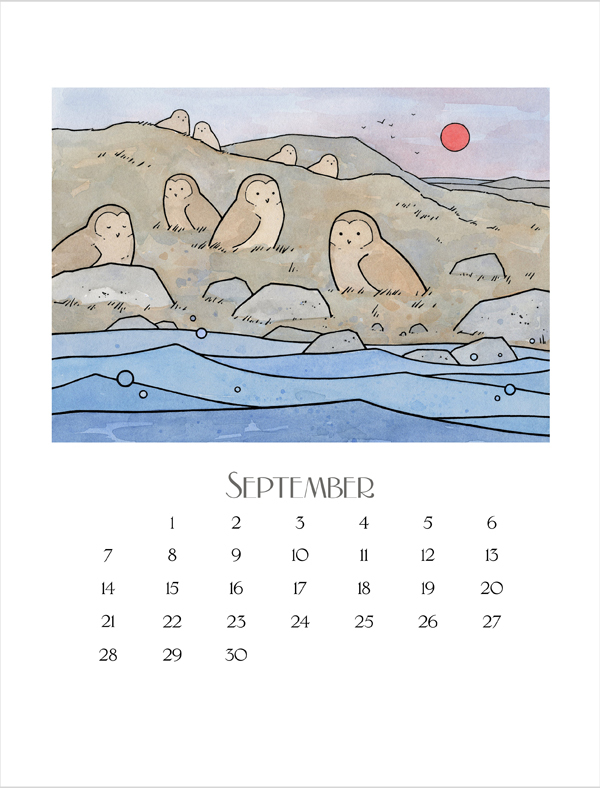 This one was a little difficult, it went through many revisions until I was finally happy with it. Sometimes its tough finding that balance between simplicity and the right amount of detail. 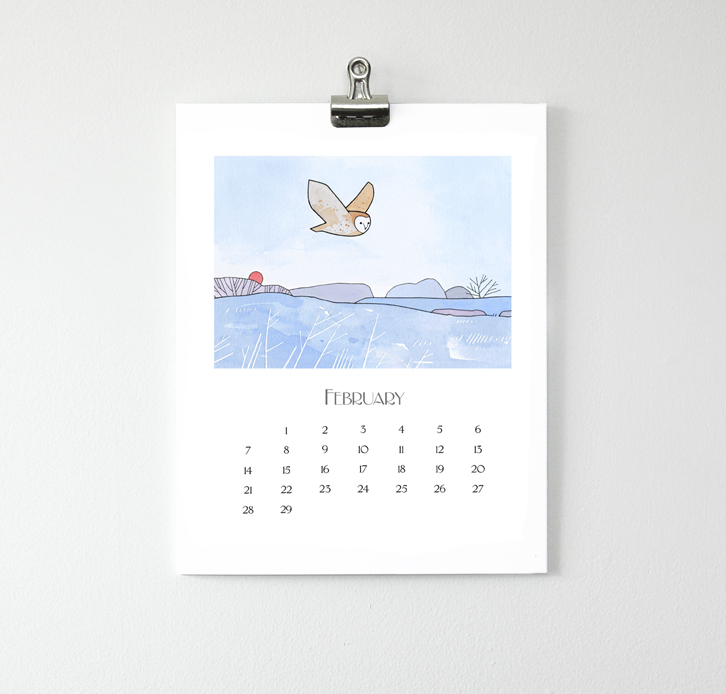 This year’s owl calendar is up in the shop. 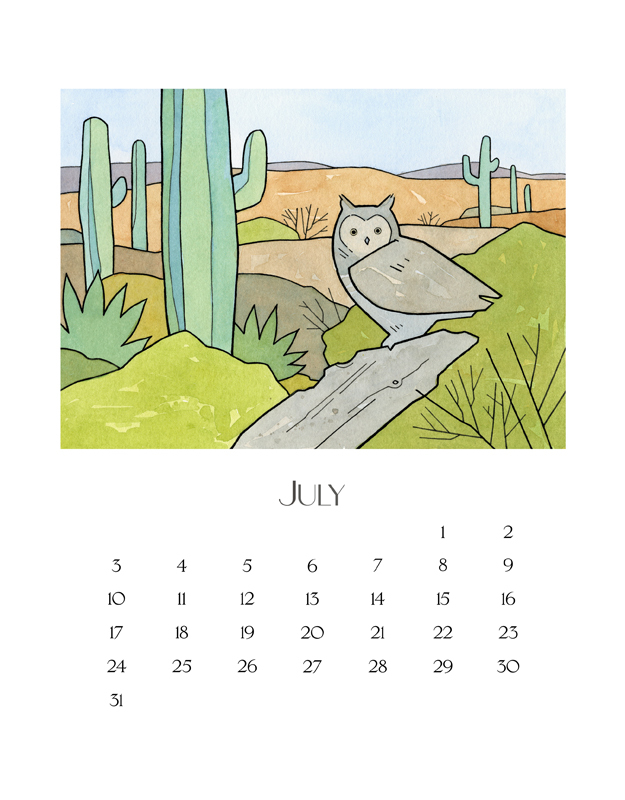 With all new illustrations for 2014! 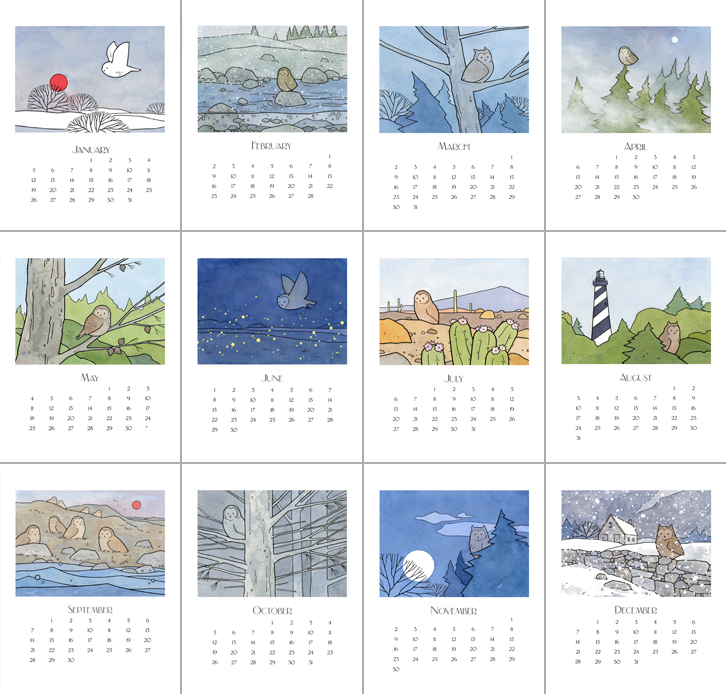 12 fun little owl scenes for each month. 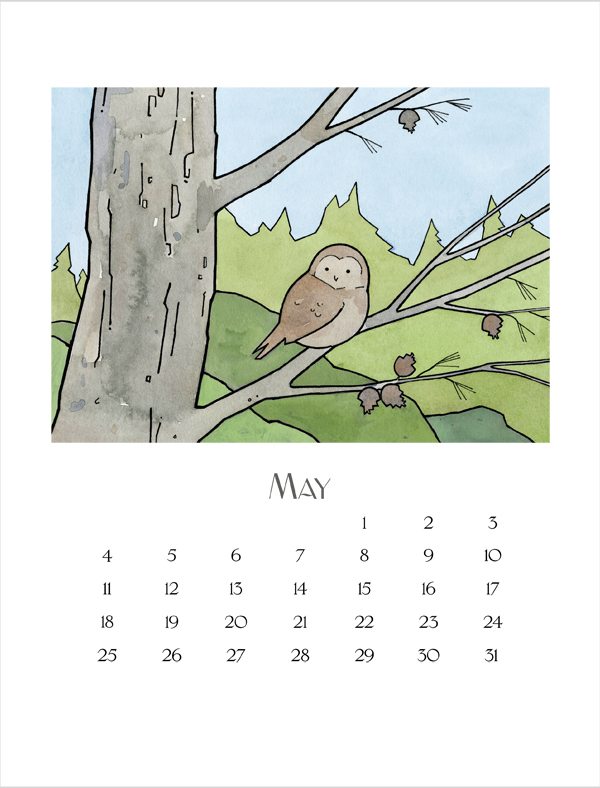 Hard to pick a favorite month, but here are a couple I’m especially pleased with. 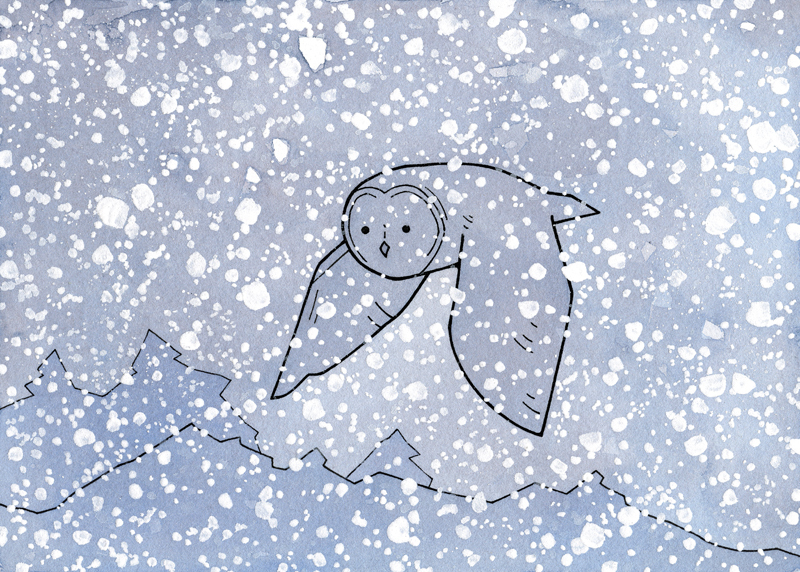 A cozy illustration for the holidays. 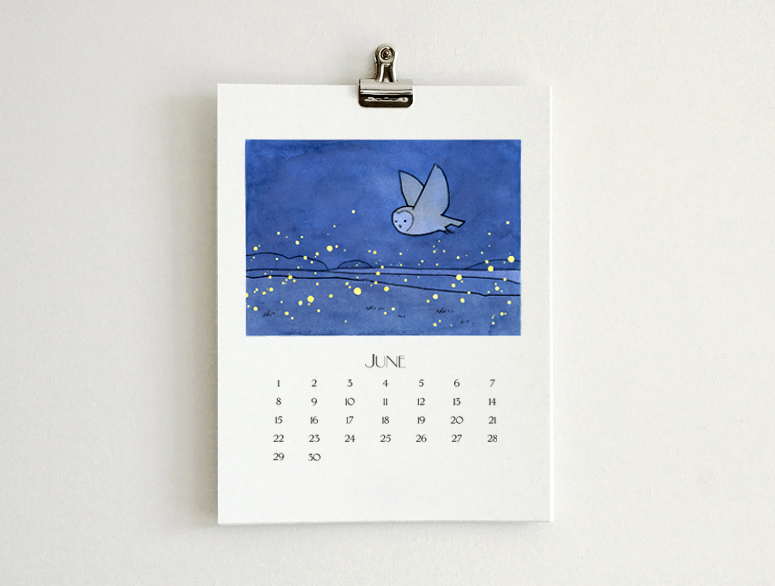 This is the last of 4 new holiday card designs I drew for this year. 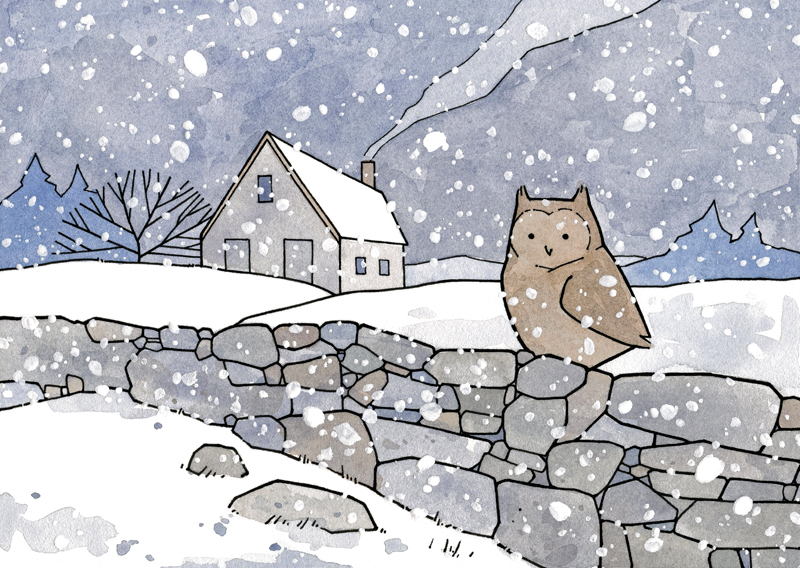 A Great Horned Owl in a wintery landscape with a stone wall and a stone farmhouse. 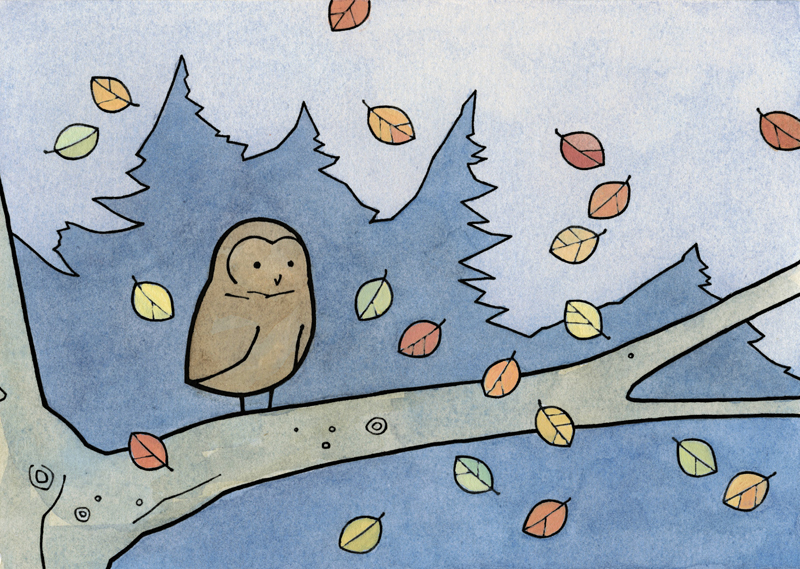 Getting back on track with the owl illustrations after being a little sidetracked with some other projects. 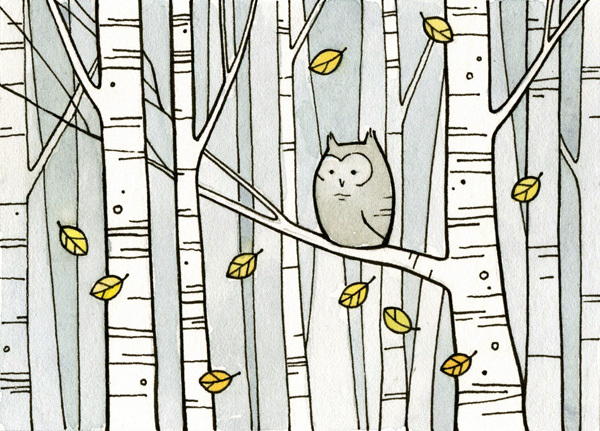 #8 is a little grey owl in a forest of white Birch trees and falling leaves.